Those Who Can, Do; Those Who Can’t, Teach. Really? So how does one determine a genuine attempt at teaching — the sincere wisdom conveyance of a master — versus some form of self-aggrandizement from an also-ran? I think the simplest “litmus” is the detection of the teacher’s ego bleeding through, or being confused with, that which is being taught. I’ve had the great privilege of crossing paths with a few true “masters of their craft” in my time — in sports, in the arts, in business — and one thing that always seems to separate these folks from the “near-miss master” is their sense of utter humility. The idea that it is not “of them” but “through them” that their expertise flows. They don’t dismiss their hard work and dedication to the craft (and in fact, embrace it), but it is seen by them as more of a duty to the craft than anything they “endured” or “suffered”. And by the way, this post’s title is from a quote generally attributed to HL Mencken — though we can’t be too sure about that. Maybe it was a tongue-in-cheek comment, or maybe taken out of context, who knows. If it’s true then I lost some respect for Mencken, who I’d otherwise say is one of the greatest political thinkers and writers of our time. Teaching, coaching — any conveyance of “truth” — is truly an art. To dismiss it as a second rate endeavor is a true indicator of a shallow mind. Didn’t track the time this go ’round. I think I like it enough to keep it in the rotation, though, and so next time I’ll put a clock (sun dial?) on it. Keith – it always amazes me when I see articles quoting Bruce Lee attributing thoughts and words to him as well as martial arts techniques. He was an incredible talent and I was fortunate enough to have trained with him for close to a year in 1962/63 when he had a school in Berkeley, Ca. 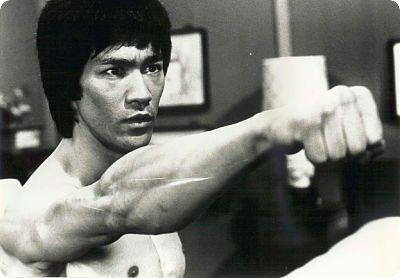 To address your point Bruce often spoke in zen parables but told me flat out that I could never penetrate the essence of Wing Chun (what he later made into Jeet Kune Do) since I was not Chinese. At that point I had spent an intensive 4 years studying Shotokan Karate under many of the leading senseis of the day and readily accepted Bruce as my Sifu after meeting him at a school I was teaching at in Oakland, Ca. I have no doubt he would have followed the Paleo way as well but contrary to the legend surrounding him he was as human as the rest of us. Wow, thanks for the fantastic insight, Bill! I am as amazed as anyone regarding his athletic prowess, and I awed (the more I study about him), by his philosophical depth. He was truly an amazing human being. Thanks for the amazing article. Bruce Lee was my idol, it is such a pity he died so young. He could have done much more to promote martial arts around the world. While many of us often regard teachers as heroes, I can’t say the same to those who boast their “expertise” and compare the students to themselves. Those type of teachers are really demoralizing. Thanks for digging up Bruce Lee’s essay. It’s really inspiring and also true in every aspect of life. From my experience to find a mentor, you (as a student) must show your worth physically, mentally, and spiritually before a mentor passes his skills and knowledge to you.